The all-new Volvo VNX is the perfect choice for heavy hauling, offering extreme capability and premium comfort. 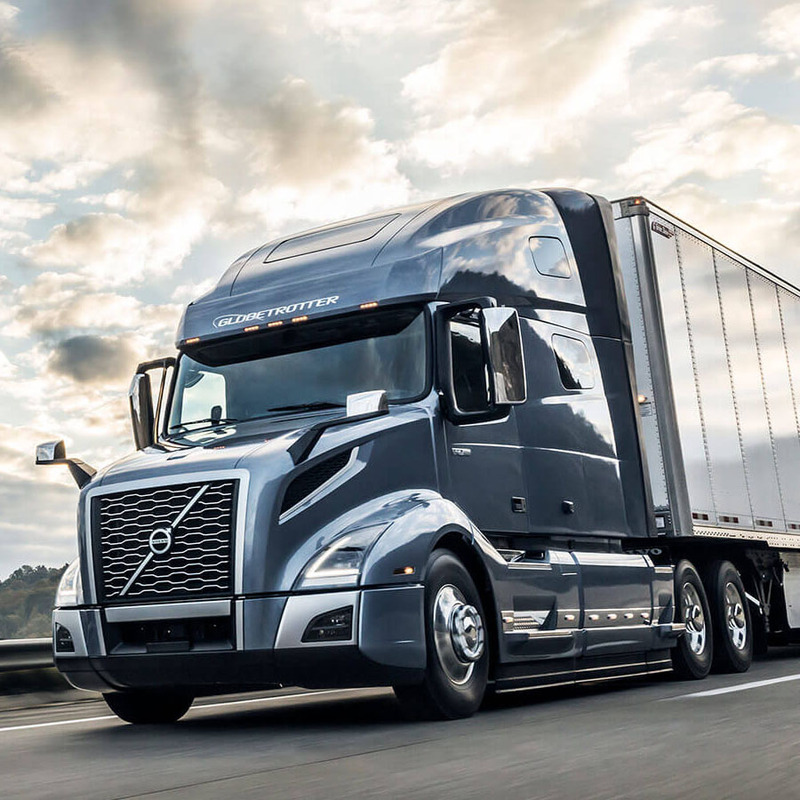 The new Volvo VNX is built specifically for the needs of heavy-haul trucking businesses, and is available with up to 605 hp and 2,050 lb-ft of roque. 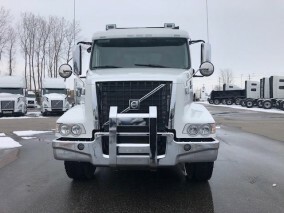 For applications like machinery transport, logging, long combination vehicles and other demanding jobs, the Volvo VNX is an outstanding choice to give you the power and reliability you need. The power of the new Volvo VNX does not come at the expense of efficiency either. 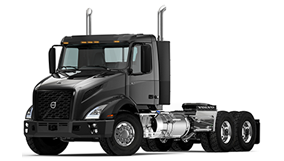 The newest i-Shift technology ensures that your VNX is constantly monitoring grade, speed, weight and more to maximize fuel efficiency, and combines with the Cummins X15 Performance Series engine to give you power and efficiency all in one. 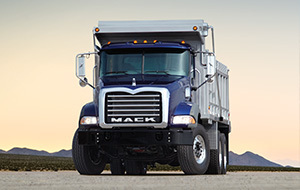 This powerful daycab gives you the muscle and maneuverability for local heavy-haul applications. Custom frame lengths are available with the option of 6x4 tandem, 8x4 tandem, or 8x6 tri-drive axle configuration. 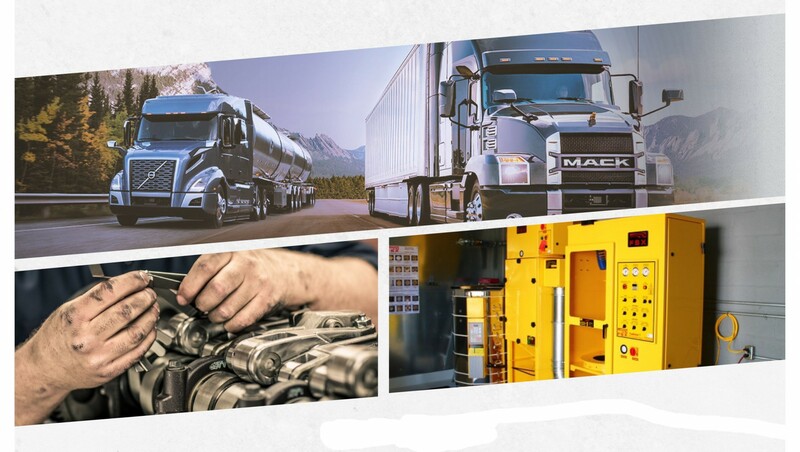 The Volvo VNX gives you power to spare and can be rated as high as 160,000 lbs GCW. With the Volvo VNX 400 Flat-Roof you get a 42” sleeper that is designed for maximum flexibility on regional heavy-haul runs. The bunk area features a premium 36” mattress to help make your overnight trips in this truck more comfortable. The Volvo VNX 740 Mid-Roof gives you a spacious 70” sleeper and features all of Volvo’s latest interior improvements, including a full-sized reclining mattress, to give you a comfortable ride and overnight stay on long trips. It also includes high-efficiency, high torque powertrain options to make the Volvo VNX 740 the perfect choice for long-distance heavy haul. The outside of the Volvo VNX is as tough as they come. From end-to-end, every feature of the VNX is built to stand up to any heavy-haul job you throw at it. Improvements include the bumper, axles, suspensions, braking, powertrain and more. Every detail has been examined to increase durability and ensure you've got the tools you need to move extreme loads. Approved Gross Combination Weight Ratings span from 125,000 to 160,000 lbs, with ratings of up to 225,000 lbs. Available with application approval and appropriate components. Optional steer axles, lift axles, tridem drive axles, and longer fifth-wheel sides help you meet a diverse range of weight distribution requirements. Inside, the Volvo VNX is built to maximize comfort. The seating has been organically optimized, while the dashboard and steering wheel put controls at the driver’s fingertips.